Stalk Lock is a short, sweet, and simple puzzle game that explores removing singular keys from the player. To pursue WGJ#32's theme of "Something Missing", I centered the game around giving up your arrow keys at designated nodes in order to reach the goal. For this game I wrote custom HLSL shaders to give this raster effect to everything. 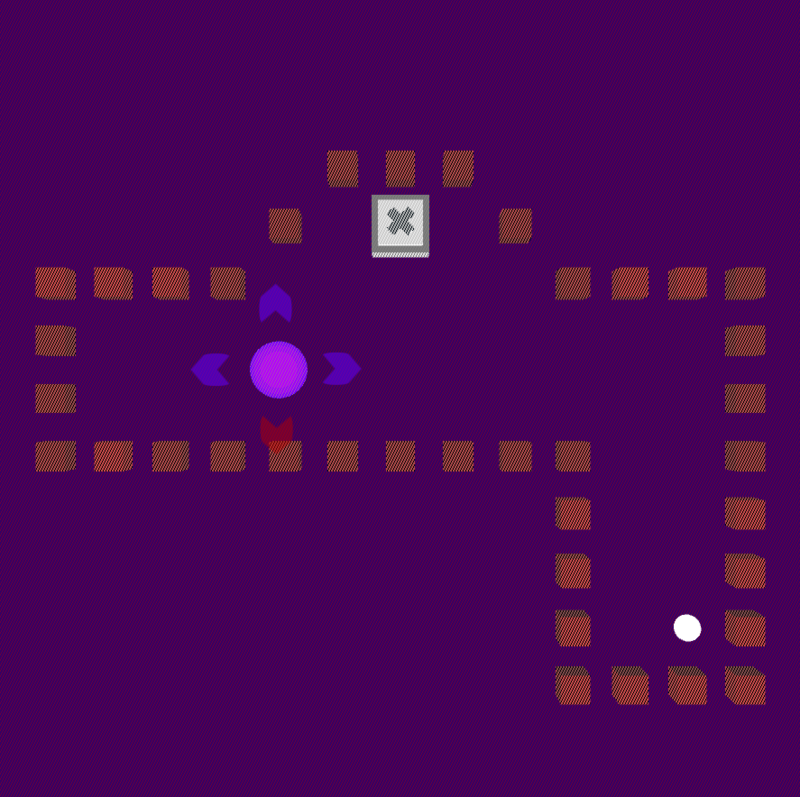 The game contains five puzzles that require the player to analyze their surroundings and pick out which key they need to trade. If you enjoyed the game, please feel free to drop in a comment. It goes a long way! This is a really neat concept. I can definitely see some interesting puzzles coming out of this idea. It was a good choice to use rounded hitboxes for everything, so that you could sort of fudge the corners if needed rather than getting stuck on 2 pixels in the direction you left behind. The biggest quality-of-life change that I can see being made is making it more clear when you're able to interact with the X boxes. It could even be as simple as highlighting the box when the player comes into contact with them.